The SOMNOtouch RESP eco may be small but its powerful. 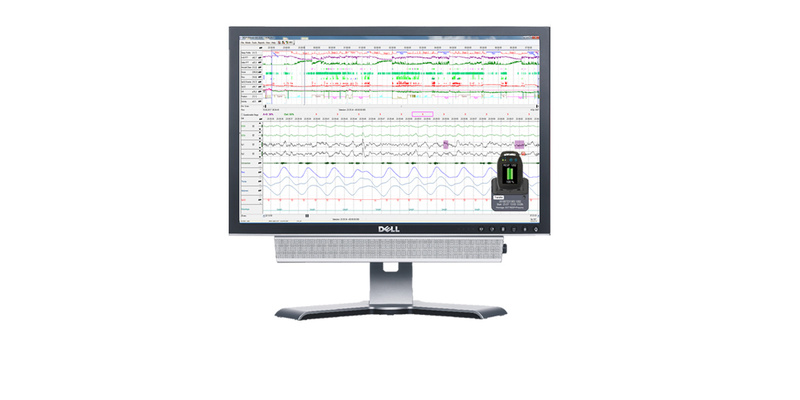 The SOMNOtouch RESP eco comes with DOMINO Lite - a simple to use analysis software. The SOMNOtouch RESP eco is so small it can fit in the palm of your hand. The screener is designed to be worn and is small an comfortable. Sometimes less IS more...The new SOMNOtouch RESP eco with 12 channels packs a powerful punch. 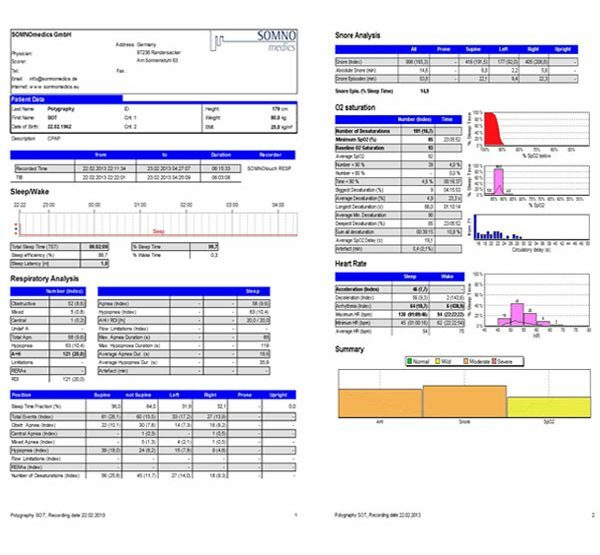 Extensive CPAP pressure report – better define the ideal fixed pressure for your patients. 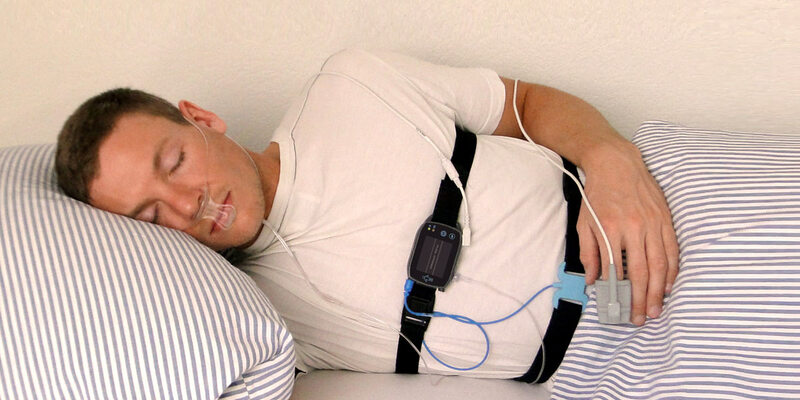 Sleep Screening starts with the SOMNOtouch™ RESP eco. 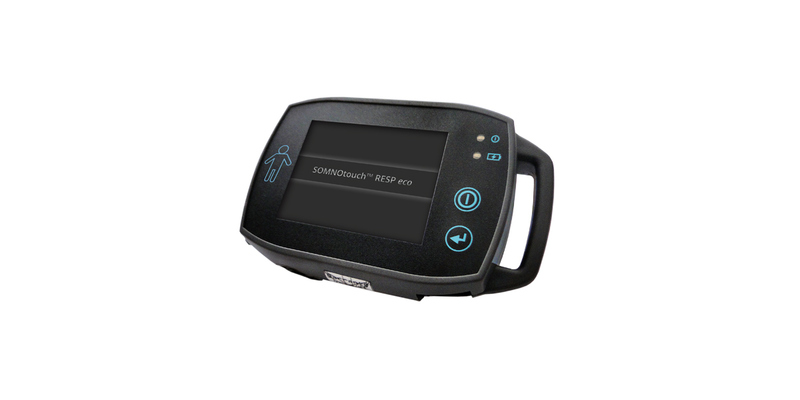 The SOMNOtouch RESP eco joins the SOMNOtouch™ family of products and is positioned primarily at the doctor who only requires a simple respiratory sleep screening device. 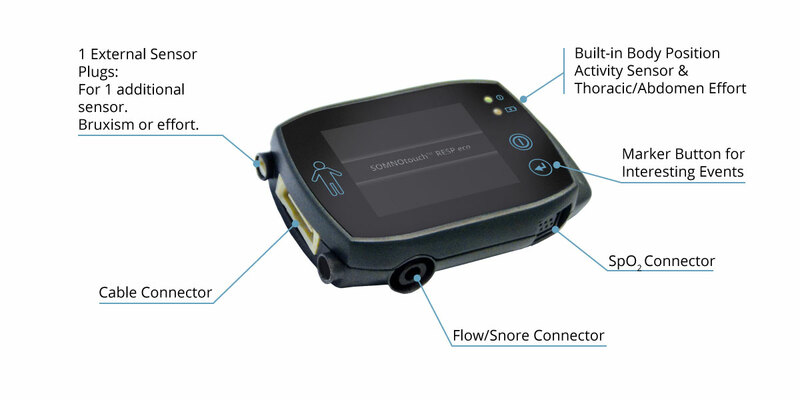 Responding to the growing demand for low cost home sleep screening devices – the SOMNOtouch™ RESP eco will have 12 channels including one of two optional sensors: abdomen effort or bruxism. Using the smart intelligent connect system and a combined data and charging USB cable it is very easy for the clinic and patient to set up and use. 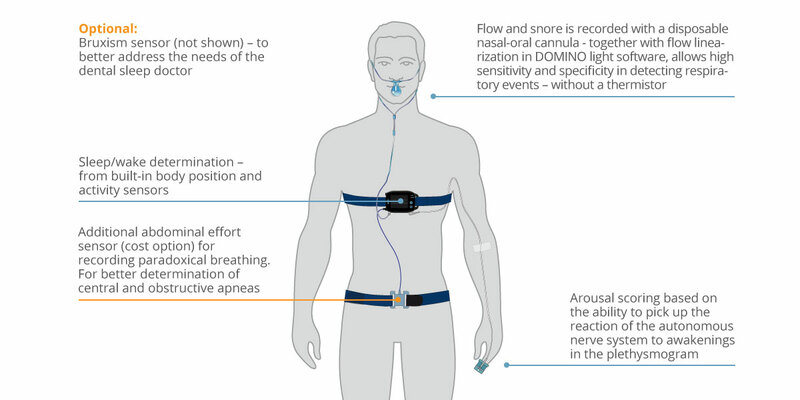 Flow and snore is recorded with a disposable nasal-oral cannula – together with flow linearization in DOMINO light software, allows high sensitivity and specificity in detecting respiratory events. * Click on the link below to view the study. Diagnostic utility of a nasal/oral cannula with linearized pressure flow in comparison to AASM recommended combination of thermal and nasal pressure sensor. Gert Küchler, Ingo Fietze, Markku Partinen, Poul Joergen Jennum, Holger Hein, Ralf Warmuth. European Respiratory Journal Sep 2017, 50 (suppl 61) PA2297; DOI: 10.1183/1393003.congress-2017.PA2297.